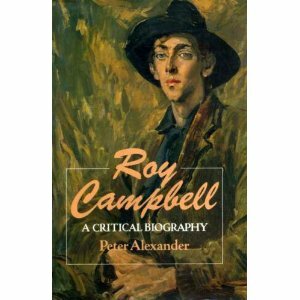 So much fine writing already exists here concerning Roy Campbell (October 2, 1901–April 22, 1957) that it would be hardly fair to Counter-Currents’ previous Campbell biographers to repeat—my own rephrasing notwithstanding—this poet’s life story once again. Let it simply stand that October 2, 2011 is Roy Campbell’s 110th birthday, and we remember him as poet, as a man of action, and as a heroic defender of the faith. It is a mighty testament to his talent that his work and life are commemorated still, considering how much suppression his poetry — and therefore his very existence as a poet and hero — were subject to by the intellectual cabal of his day, and all the days since. He died, neck broken in an auto accident in Portugal, April 1957. The following poems of Campbell both appeared in Sir Oswald Mosley’s BUF Quarterly magazine, published sometime between 1936 and 1940. Can heave ten million tons of stone! *In the summer of 1936, during the early part of the Spanish Civil War , Colonel José Moscardó Ituarte , and Spanish Nationalist Forces in support of General Franco, held a massive stone fortress, The Alcazar, against overwhelming Spanish Republican  forces. Despite being under continual bombardment, day and night, Col Moscardo and the Nationalists (reportedly nearly 1000 people—more than half of which were women) held out for two months. And that the White had risen overhead. The harder for each lost advantage strove. Less to be whirled by anger than desire. As silver the Solitude he rose. Zoomed to the zenith; and his will was done. Roy Campbell. Poet, hero, comrade. You are commended and celebrated. Your talent shall not fade, nor shall your works grow old, age shall not bury you, nor every future time condemn. Happy birthday. 1. Paraphrase of Laurence Binyon’s “For The Fallen,” as quoted by Paul Fussell, The Great War and Modern Memory (New York: Oxford University Press, 1977), p. 56.